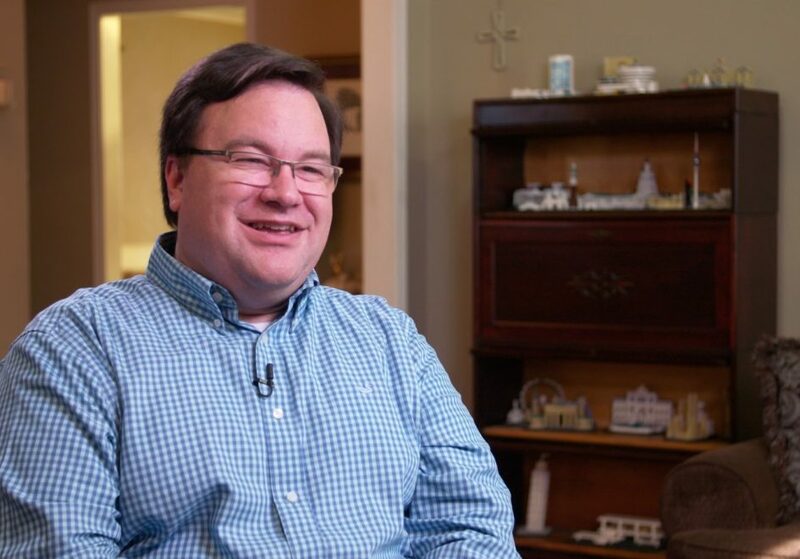 BIRMINGHAM, Ala. – More than 30 years ago, Bryan Campbell watched his grandmother open the King’s Storehouse Food Bank to feed people in his hometown of Tyler, Texas. Campbell’s grandmother served as volunteer coordinator for the King’s Storehouse until her death in 2014. Today, Campbell serves as board president of the faith-based nonprofit and makes sure his grandmother’s vision continues. 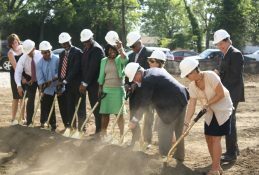 “We serve two purposes: to put a plate of food in front of the hungry and to feed the souls of the spiritually lost,” Campbell said. The King’s Storehouse receives donations and distributes them to food ministries from Texarkana to Dallas to Beaumont. Further, the Storehouse provides items such as toiletries and clothing at very low cost to low-income families. 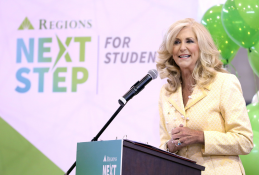 Citing his passion for helping others, Regions Bank today announced that Campbell is the October 2017 recipient of the Regions Bank Better Life Award. The Better Life Award is the top honor given to a Regions associate for outstanding dedication and job performance, as well as exemplary involvement and commitment to the community. Together with the recognition, Regions donates $1,000 in the name of the recipient to a nonprofit organization of the winner’s choice. Campbell chose the King’s Storehouse. 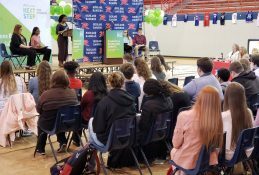 In addition to feeding the needy, Campbell serves as board president of the East Central Texas affiliate of the Susan G. Komen Foundation and vice president of the Tyler Soccer Association. Before joining Regions in 2013, Campbell practiced law. 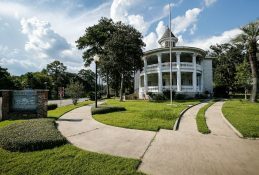 For the past ten years, he has organized the Smith County Young Lawyers Association’s National Adoption Day celebration for local families of newly adopted children. He is also active in his local church. 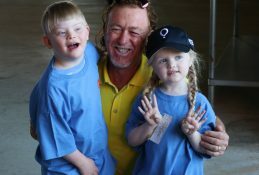 To learn more about Campbell and his work in the community, watch this video on the Regions Financial YouTube channel. Regions associates are nominated for the award by their managers and peers. 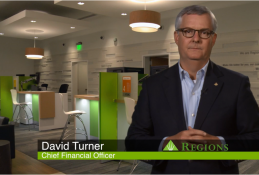 Regions Chairman, President and Chief Executive Officer Grayson Hall honors recipients at the company’s headquarters in Birmingham, Alabama, at a meeting broadcast to offices throughout the communities Regions serves. 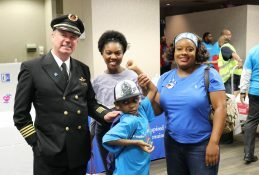 In addition to the recognition, associates who earn the Better Life Award receive an additional week of vacation, a crystal award, and a $1,000 donation is made in their name to the nonprofit organization of their choice. 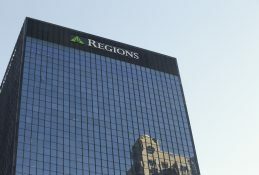 Regions Financial Corporation (NYSE:RF), with $125 billion in assets, is a member of the S&P 500 Index and is one of the nation’s largest full-service providers of consumer and commercial banking, wealth management, mortgage and insurance products and services. 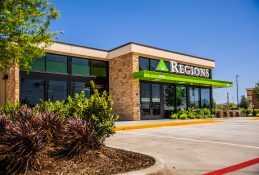 Regions serves customers across the South, Midwest and Texas, and through its subsidiary, Regions Bank, operates approximately 1,500 banking offices and 1,900 ATMs. Additional information about Regions and its full line of products and services can be found at www.regions.com.